"Listen to all the beautiful ideas that want to come through your heart. Be joyful. Give over to love. Let yourself shine. Know we love you. Give us your trust and we'll give you back a hundred-fold more." 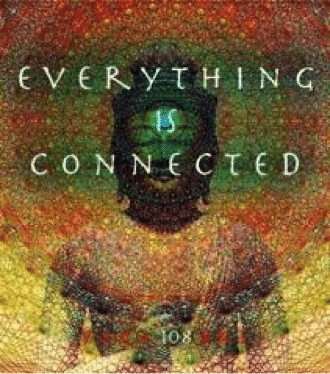 "We want you to understand that all is reborn in the world you live in but that it comes from the world of Spirit. We would like you to experience the beauty as if it were the magic of your dreams and of the Light that forms in time and space." 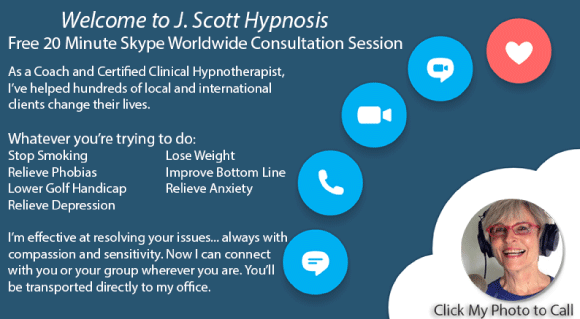 As a Certified Clinical Hypnotherapist, I have helped hundreds of clients using hypnosis, and understand the intricacies of various issues that people face. I approach my clients with compassion and sensitivity. I help them resolve their issues of the past and present, opening the door to a brighter and confident future. If you enjoy the daily Spirit Says quotes, also offered are personal 1/2hr-1hr sessions. Jennifer Scott is experienced, sensitive, and compassionate. 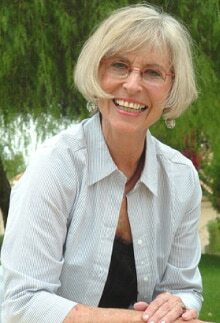 Years of experience and her people skills have allowed her the ability to transform lives by helping people quit bad habits, engender relationships, and bring calm into lives. Bring your problems to Jennifer, she can help! When you've tried to drop weight unsuccessfully many times it's not your fault. If thta is the case Jennifer can assist you with Hypnosis. It has been well documented that this method has been proven over & over again.I am recommending that using Jennifer will bring the results you're seeking. A friend told me about Jennifer. He said that she was amazing. I called her right away and I have been seeing her for a few months. One of my life-long 'issues' has been a problem with sleeping. The hypnosis sessions made a difference for me. My friend was right! She is amazing! Sleeping is only one of the many areas of my life she has impacted.Jennifer has devoted her life to helping others. I can say that I am one of the many she has touched and inspired. She has a huge heart that is filled with love and compassion. I have been blessed to have her 'in my corner'. Before going to see Jennifer in Arizona, I was having troubles in high school and summer tournament breaking 80 consistently, and having trouble with consistent and positive thoughts. After she taught me hypnosis, and drills to help with mental concentration, I became very consistent. In one match, I had 5 birdies in 9 holes. Thanks Jennifer! Jennifer has been my gift for over 20 years and has shared with me her own knowledge about the power of the subconscious mind and faith in spirit as a source for resilience and comfort in my life. I've grown so much (and continue to grow!) from our sessions that include coaching, straight-forward conversation, channeling, self-hypnosis and even some tough love! I highly recommend her service to anyone who really wants to move ahead in life. Wonderful session. Thank you so much. Haven't smoked for 3 months now. Jennifer has enabled me to view myself in a way that has enriched every aspect of my life - personally and professionally. I'm astounded by her gifts and so grateful. I would recommend her highly to anyone who is in transition or who wants to make changes in their life. I went to see Jennifer and on my 3rd session I left her office and threw away my last pack of cigarettes. That was on July 10th, 2013. To this day I am smoke free and I have two beautiful daughters that are very happy with me. Believe me, I very, very rarely get the urge for a smoke but because of the things that Jennifer taught me I am able to resist the urge. From time to time I think of Jennifer and want to call her and say thanks. Jennifer is an amazing counselor and guide. Her style is about empowerment. She has helped me have a deeper understanding of myself which has made my life so much richer. Jennifer's no-nonsense approach is not only refreshing, but a huge time-saver. She doesn't waste a moment - she gets right to the heart of the matter and focuses on moving through it. I am so incredibly grateful for Jennifer's guidance, encouragement and love. I highly recommend her! I am an avid golfer who had struggled mightily to break 80 on a continuing basis in the past due to anxiety and nerves as the round was drawing to a close. Well, no more!After attending one of Jennifer's OWN THE ZONE seminars and learning her proven techniques of visualization and self hypnosis I am now able to shut out all the negative mental chatter and focus upon the target in a relaxed and confident manner. The benefits have been truly amazing as results were almost immediate and continue to this day. After mastering Jennifer's techniques Golf became so much more a game of enjoyment and accomplishment as prior it had been so much frustration and defeat. Please know I shall be forever in her debt for helping me to achieve my very best. I went to see Jennifer Scott for help with my nasty chewing habit. I have been chewing for 30 years. Now I am chew free and enjoying my life. She did an excellent job with helping me stop and understand more about the way hypnosis works. What can I expect in the first session when I see a Hypnotherapist? I have a home office with a very peaceful environment. It’s in the back of my house, so we won’t be disturbed. Once you enter my space, I want you to feel comfortable and at ease. 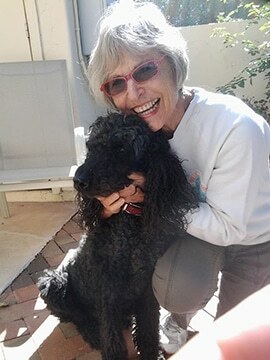 My very friendly black Standard Poodle will greet you at the gate and add to this experience as long as you’re OK with dogs. Whatever the issue that prompted you to make this appointment, we’ll begin talking about it in a conversational style. I’ll ask you questions that will help me understand you beyond what you might tell me. You’ll have the same opportunity. Then I’ll describe to you in detail how natural Hypnosis is, what the process will be like for you and what we can accomplish when you’re relaxed and open to my purposeful suggestions. Then we’ll begin doing the work. Can Hypnotherapy help me quit smoking? Absolutely. I’ve been in practice for over 20 years and have helped hundreds of smokers quit smoking in two sessions. If more are needed (2 sessions are sufficient for most clients) I don’t charge. My intention is to make sure you’re a non-smoker forever. Since Hypnosis is the doorway to your Subconscious Mind, my weight loss suggestions about eating small amounts of healthy food, chewing slowly and feeling satisfied – while in this trance state - will penetrate into your Deeper Mind and body so that your weight will come off without dieting. Your Subconscious Mind is pliable and when you’re receptive, my suggestions will change your relationship to food, to exercise and will transform your life.